· 16.5 percent of all Fireboxes were targeted by CoinHive cryptominer – The most widespread malware variant in Q4 came from the popular CoinHive cryptominer family, showing that cryptomining remains a popular attack type. Two of the top ten most common pieces of malware detected were also cryptominers. · A major phishing attack leverages a fake bank page – Another widespread piece of malware in Q4 sent a phishing email with a fake, but highly realistic Wells Fargo login page to capture victim emails and passwords. 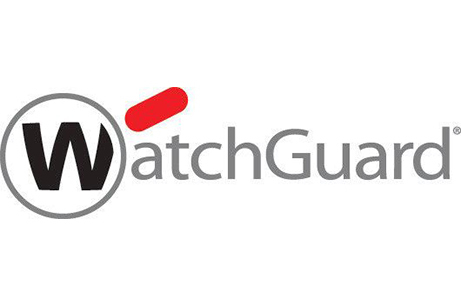 Overall, WatchGuard saw a rise in sophisticated phishing attacks targeting banking credentials. · One ISP’s filtering error routed Google traffic through Russia and China for 74 minutes – The report includes a technical analysis of a Border Gateway Protocol (BGP) hijack in November 2018 that inadvertently sent most of Google’s traffic through Russia and China for a short time. WatchGuard found that a Nigerian ISP called MainOne made a mistake in their routing filters, which then spread to Russian and Chinese ISPs and caused much of Google’s traffic to be routed through these ISPs unnecessarily. This accidental hijack highlights the underlying insecure standards that the internet is based on. A sophisticated attack targeting these flaws could have potentially catastrophic consequences. · Network attacks rise after historic lows in mid-2018 – Network attacks rose 46 percent by volume and 167 percent in terms of unique signature hits in Q4 compared to Q3 2018. This follows a trend seen in previous years with attacks ramping up during the holiday season. The 2018 Q4 ISR also includes a granular analysis of source code for the Exobot banking trojan. This highly sophisticated malware attempts to steal banking and financial information from Android devices. The WatchGuard Threat Lab’s analysis includes a list of the 150 sites such as Amazon, Facebook Paypal and Western Union that Exobot can automatically target, as well as a detailed look at the UI an attacker using Exobot would use to push commands to infected devices. The finding are based on anonymised Firebox Feed data from over 42,000 active WatchGuard UTM appliances worldwide. In total, these Fireboxes blocked over 16 million malware variants (382 per device) and approximately 1,244,000 network attacks (29 per device) in Q4 2018. For more information, download the full report here. To access live, real-time threat insights by type, region and date, visit WatchGuard’s Threat Landscape data visualisation tool today. Subscribe to The 443 – Security Simplified podcast at Secplicity.org, or wherever you find your favourite podcasts.